In the bowl of a stand mixer, combine flour, chai tea leaves, baking powder and salt. In a separate bowl, whisk together buttermilk, eggs, canola oil, brown sugar (if using) and vanilla extract. Turn mixer on medium speed and slowly pour wet ingredients into the dry and allow to whisk until batter is smooth. Heat a saute pan or cast iron skillet to medium-high heat and coat with cooking spray. Pour about ¼ cup batter into the pan. Cook until bubbles start to form on the top; flip and cook another 30-60 seconds, until bottom has browned. 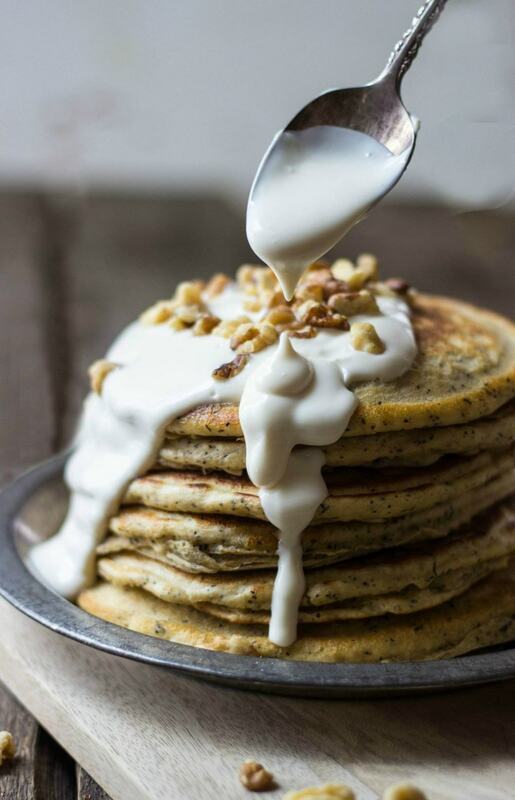 Stack pancakes and top with vanilla yogurt and walnuts.